The 42 APEX & 42 APEX Clean Face Wood Fireplaces are designed to deliver high performance, clean-burning heat, while showcasing a spectacular fire view. 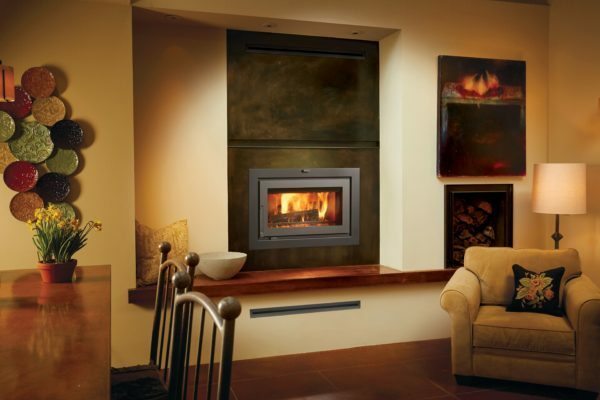 A massive rectangular-styled door and viewing area beautifully frames and complements the fire, offering a sleek design that accommodates all styles, whether yoyu choose the timeless clean face model or one of our stunning designer face styles. Designed to be flexible for all installation applications, the 42 APEX & 42 APEX Clean Face wood fireplaces are the perfect choice for remodels and new home constructions, as their simple installation parameters and size allow these models to be featured anywhere in your home, including interior walls. Heating Capacity: Up to 2,500 sq ft.